Flowers and vines on blue background. 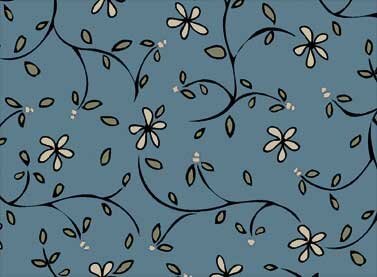 From Baskets in Bloom collection from Red Rooster fabrics. 100% quality cotton. 44"-45" wide.